Dental veneers are a thin shell of porcelain or composite material placed over the front surface of teeth in order to improve their appearance. They can correct misalignment, gaps between teeth, worn enamel, discolorations and chips, and the end result is a dramatic improvement. Dr. Berger and Dr. Robison in Fort Wayne offer porcelain veneers as just one of many procedures to restore the look and function of teeth. No matter how severe your tooth problems might be, they can find the best solution. Contact the office in Fort Wayne today to schedule an appointment. Veneers provide both aesthetic improvement as well as protection for the surface of damaged teeth. Besides looking great, they can also prevent the need for more extensive treatment down the road. They are highly durable and require less preparation of the tooth compared to crowns. Porcelain veneers are a dramatic solution for many unsightly tooth problems. For example, tooth enamel can become worn over time through natural use, genetic predisposition, or the consumption of too many soft drinks, coffee or tea. When enamel becomes thin, teeth are more susceptible to decay and the color of teeth can become a darker shade of yellow or gray. Some wear and tear occurs over time from regular use, and it is common for teeth to develop chips or cracks. Also, some people develop gaps between teeth that widen as they age. Habitual tooth grinding can cause uneven wear as well. Veneers provide a solution for all of these problems, restoring the shape and size of teeth, protecting the surface, and closing gaps. Another benefit of using porcelain is that it mimics the appearance of natural tooth material effectively. 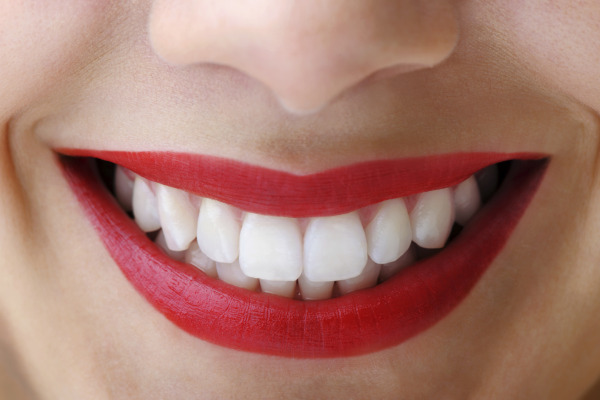 It has a similar color and a slight translucency, and it can easily be matched to the color of surrounding teeth. Porcelain veneers are an option that must be weight carefully, and Dr. Berger and Dr. Robison will discuss the matter with each individual patient. Because some tooth material is removed in order to make room for the veneers, the process is not reversible. There are alternatives to porcelain veneers, such as composite bonding, that can be undone later on, so all options will be considered. In the end, Dr. Berger and Dr. Robison will work with their patients to determine whether or not veneers are the best solution for correcting their individual tooth problems. They are committed to meeting the needs of each patient, so feel free to contact the office in Fort Wayne today with any questions or concerns. For more information, or to schedule an appointment with Dr. Berger or Dr. Robison in Fort Wayne, contact us today!